My first impression of The Bauhaus and Harvard, on view at the Harvard Busch-Reisinger Art Museum through July 28, was the handmade quality of the work. 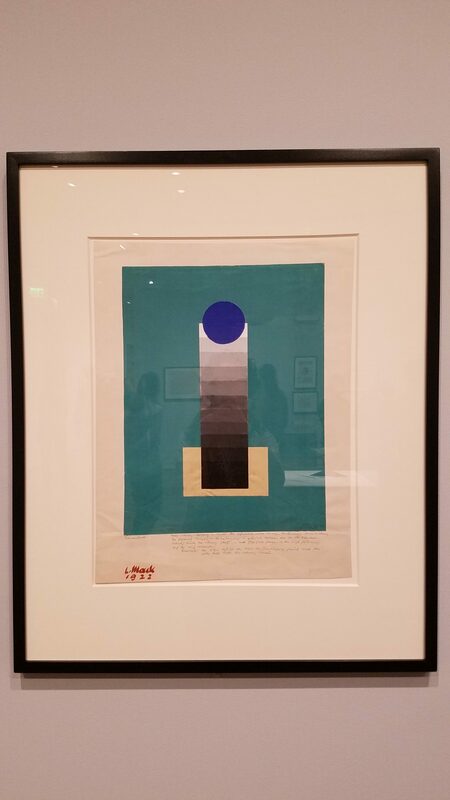 I am a Bauhaus devotee from my undergraduate Art History days, and I had no idea that the printed pages of my textbooks were not conveying the depth of personality and humanity of the works that is on vivid display in this exhibition. The Bauhaus has come to be known as the 20th century’s most influential school of art, architecture, and design. This exhibition celebrates the centennial of the school’s opening in Germany in 1919 by taking viewers on a journey from the student foundation coursework, through work produced by Bauhaus masters, to demonstrating the influence of Bauhaus art and design concepts on a generation of artists throughout the country. Harvard is a special place to celebrate this anniversary: Bauhaus founder Walter Gropius joined the faculty as an architecture professor after fleeing Nazi Germany in 1937. Gropius would practice locally for another 25 years, helping to lay the foundation for modernist architecture in the US. When you enter the exhibit, you land right into the student works section. If you have ever taken a university art class, you are guaranteed to get the feels touring the art in this room. I was delighted to see that the cut lines and mixed media joints are not perfect, even though the wall placards carry some of the most influential names in modern art and architecture. Many of the pieces reminded me of studies I worked on in college, but the sketchiness of Color Exercise (Ludwig Hirschfield-Mack, 1922) caught my eye because it depicts such a mastery of tone and form. I love how the shapes at either end of the gradient give weight to the advancing color, anchoring them to the page. From the student works display, the exhibit transitions to featuring the influence of the Bauhaus in America. 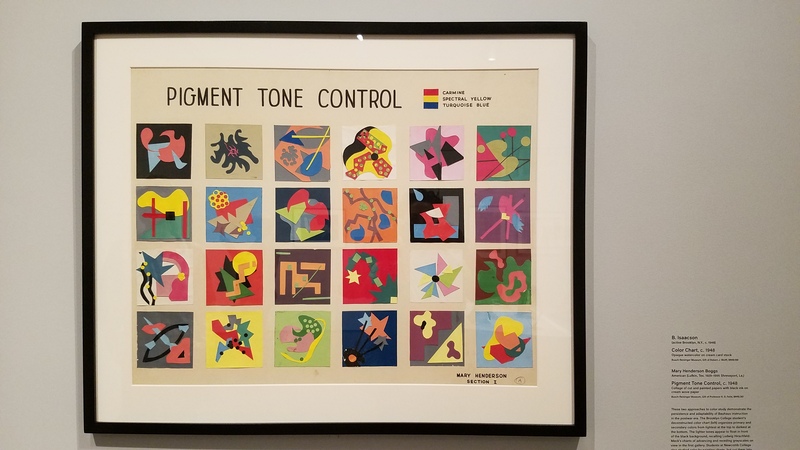 You need to see Pigment Tone Control (Mary Henderson Boggs, 1948) up close. It has all the pop of an expert 21st century graphic design; each of Boggs’ studies is as fresh as they come. Mary Henderson Boggs was a Brooklyn College art student training with Robert Wolff, who taught under famed Bauhaus constructivist Lazo Maholy-Nagy at the Institute of Design in Chicago. I love how the influence of Bauhaus teaching methods in color exploration show up in Brooklyn fifteen years after the school closed. 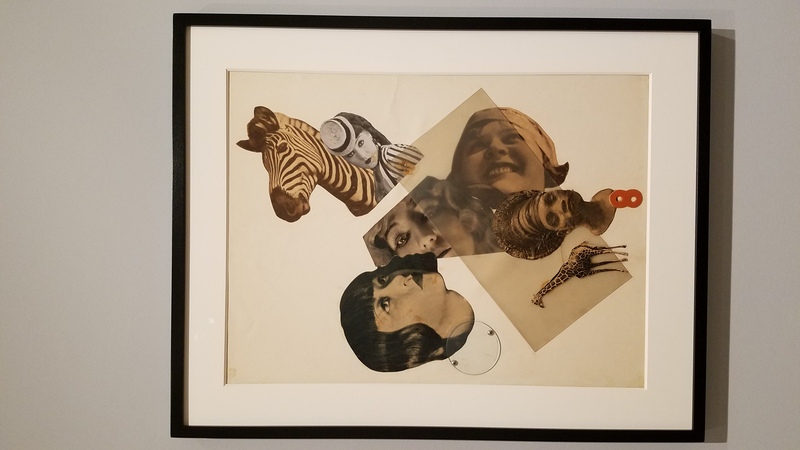 My favorite piece in The Bauhaus and Harvard show is the Untitled (with Anna May Wong) photomontage by Marianne Brandt (1929), who was also a student of Maholy-Nagy. The women of the Bauhaus hold a special place in my heart for being bleeding-edge innovators of both master craft and cultural expression in what became a very dangerous political climate for artists. I love the simplicity of the layering in this montage. Brandt lets the faces shine. They look up and down, each seen from a different angle. Taking it in, I felt that I could stay a while longer making sense of the symbolism and juxtapositions, sitting with the sense of melancholy that arose as I peered into those faces of the women on display. This is a rare opportunity to see so much original Bauhaus work in one place. The Bauhaus is celebrated internationally for its contribution to industrial design, graphic design, weaving, architecture, color theory, photography…the list goes on. Even if you weren’t already a Bauhaus lover, this is your chance to discover a new favorite artist. Another reason to love the Bauhaus – and to go see this exhibit – is the sense you get that these master artists were just like us. 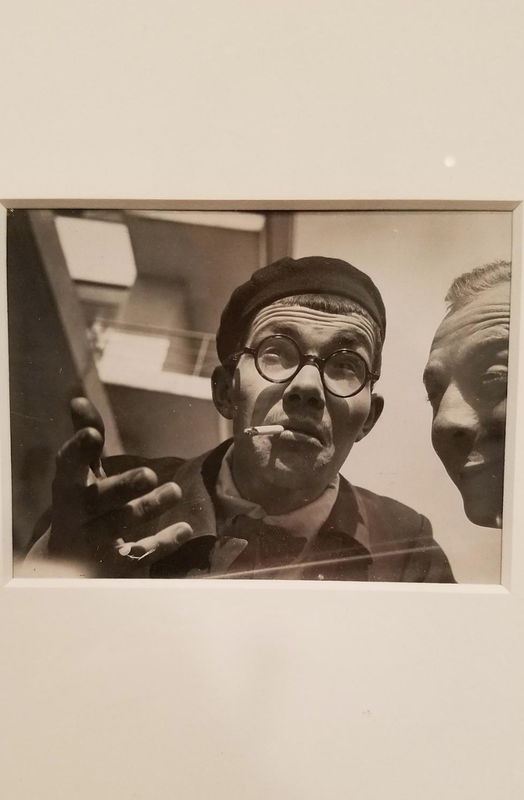 T. Lux Feininger’s photograph Max Bill and Edmund Collein at the Bauhaus (1929) depicts this perfectly. I imagine Max and Edmund were great friends, often caught smoking cigarettes and oscillating between self-deprecation and over-intellectualizing. It’s a delight to examine the details of this photo, like so many of the works in this exhibit: initially hidden in saturation of dark and light but revealed after a good, long up-close review.